Business leaders are increasingly recognising the importance of conditions external to their organisation when it comes to facilitating successful digital transformation initiatives. And in a continent as vast as Europe, businesses can choose from numerous locations when deciding where to operate. New research from the Economist Intelligence Unit (EIU) shows mixed results for European cities, with executives in London and Madrid indicating high levels of confidence in their city’s digital environment, while other well-known innovation hubs like Amsterdam and Berlin don’t fare as well, says Tom Homer, managing director for EMEA at Telstra. 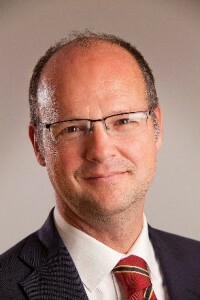 As part of a new ‘Connecting Commerce’ report commissioned by Telstra, the EIU has released the first ever Digital Cities Barometer, a ranking of 45 cities around the world across five key categories relevant to business performance: innovation and entrepreneurship; the financial environment; people and skills; development of new technologies; and ICT infrastructure. London and Madrid rank 9th and 10th respectively for overall business confidence in the digital environment, compared with Amsterdam (29th) and Berlin (45th). So what are European cities at both ends of the confidence spectrum doing to create, and keep, businesses capable of thriving in today’s disrupted landscape? It may come as no surprise that confidence levels in a city’s ICT infrastructure are a strong predictor of confidence in its overall digital environment. 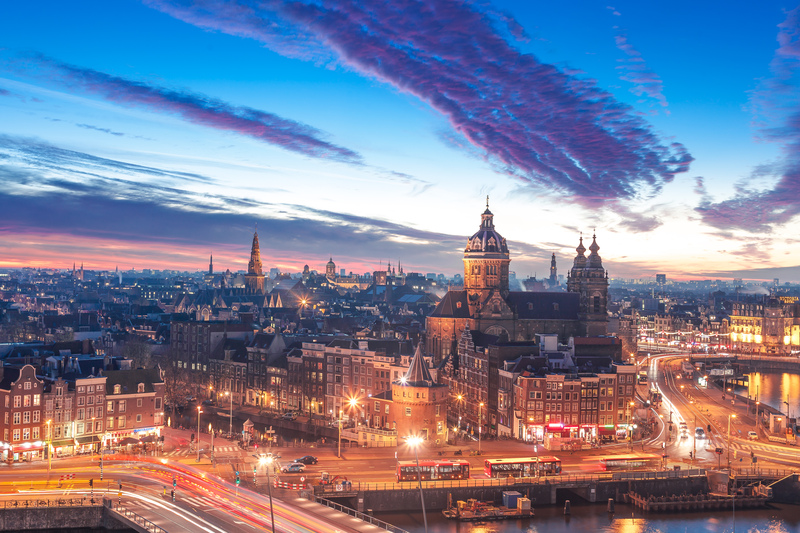 While London, Amsterdam and Madrid ranked fifth, sixth and seventh respectively for their ICT infrastructure, there’s little doubt that grassroots entrepreneurialism in these hubs is also helping to fuel the growth of their digital ecosystems. Both London and Madrid also ranked in the top 15 for overall environment, innovation and financial environment – a demonstration of optimism from all sides. Interestingly, Berlin placed last for its overall environment, and for innovation too. This is despite the city enjoying a Europe-wide reputation as a start-up hub. In fact, a start-up is founded every 20 minutes in the German capital1. Firms will move if the environment is not right. 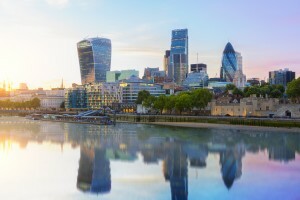 In fact, almost half of surveyed executives (48%) say their firm has considered relocating operations to a city with a more favourable external environment. With this in mind, it’s promising that some European cities like Amsterdam are committed to support structures designed to help businesses to succeed. 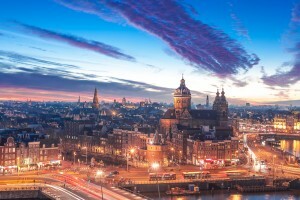 The Amsterdam Smart City (ASC), for instance, is a public-private partnership launched in 2009. The digital innovation platform connects dozens of partners such as municipal agencies, research institutes, start-ups, individual developers and inventors, as well as large companies to help facilitate digital initiatives. Similarly, London is home to many formal and informal networks, communities and other support structures that provide assistance to entrepreneurs. One of these is the FinTech Innovation Lab, a 12-week accelerator program that brings together early stage financial technology companies and the world’s leading financial institutions. Co-working spaces also provide support to many European companies. These enable people with multiple professions and different skills to come together and work. Milan, which ranked in the top 20 for innovation, is home to numerous co-working spaces and flexible office solutions. The key is for other European cities to follow suit, and develop these ‘test grounds’ where new ideas are able to take root. Finally, access to government data is an important contributor to a thriving digital environment. More than 83% of survey respondents say their firm makes at least occasional use of open government data provided by city agencies. These businesses are using this data to provide new or improved services to customers, or even to identify new business opportunities. Amsterdam is a leader in this area. The city regularly features in the top tier of global and European smart city rankings and is known for using its open data initiatives to encourage the development of services that enhance mobility within the city. These include initiatives like the development of apps with real-time information on bicycle routes and car parking, and those that help reduce energy consumption or that encourage recycling. Other European cities might better catch the attention of technology innovators by leveraging the open data at their disposal.